Positioning any moving object requires the transfer of power and overcoming friction. For millenniums, mankind used rollers and skates for this purpose. But how modern linear guidance works? Linear technology represents the interface between stationary and moving parts. It has the function of power transfer, machine guidance and precise positioning. Linear guidance can essentially be classified according to the nature of the movement and the contact zone. Therefore, movement can be accomplished along the axis or rotation around the axis - and it is called linear or rotational guiding. The nature of the point of contact defines a subdivision to a finishing, sliding and magnetic guiding. Rolling elements are fast and bear high loads while sliding have excellent damping characteristics and magnetic guidance is characterized by a long lifetime. However, the latter is a special case and is rarely used in practice. New BSHP (Ball Rail System High Precision) system with increased load level. Catalog can be downloaded here. Link for the manufacturer's website. New generation of Rexroth RSHP profile guides with non-pulsating rollers. 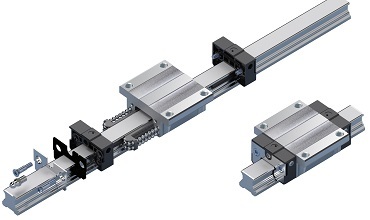 With the new RSHP (Roller Rail System High Precision), Rexroth has expanded its range of products with very precise guides and carts that provide optimum quality thanks to particularly quiet operation. Guide and absolute measurement system in one: IMS-A Integrated Measurement System provides an absolute position with a high degree of precision. Guide and incremental measurement system in one: The IMS-I integrated measurement system provides an incremental position with a high degree of precision. The mechanical system in the electromechanical cylinder is based on proven planetary or ball coupling spindles with a wide range of combinations of diameters and steps. 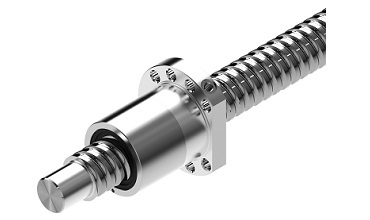 The coil spindle converts the torque into linear motion with high mechanical precision. During this process, the piston rod secured to the spindle nut is pulled out and retracted. Both nuts and pistols are guided inside the housing and no twisting can occur. Optional end switches serve to limit the running of the cylinder during operation. Thanks to grease lubrication, EMC requires minimal maintenance at longer time intervals. Positioning the weight of the weight more tonne into the micrometer, pressing, joining or tightening when changing the sequence of movement as needed. New Rexroth Heavy Duty (EMC-HD) Heavy Duty (EMC-HD) cylinders use the benefits of new management technologies for high power. Designed for a wide range of applications that are used from materials handling technology to light machining of aluminum and wood such as in the plastic industry. 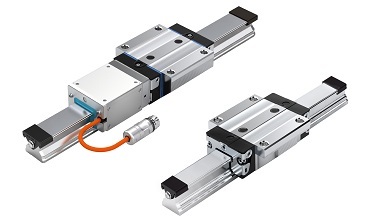 Rexroth offers its linear motion systems ready for installation with various configurations and control systems. 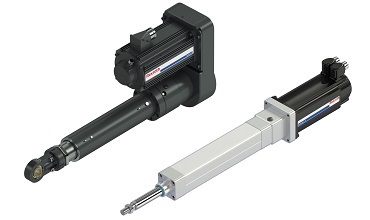 Ball spindles are efficient solutions for precise conversion of rotary to linear motion. Based on years of experience and extensive engineering expertise, Rexroth has developed a range of products that meets the most diverse requirements. 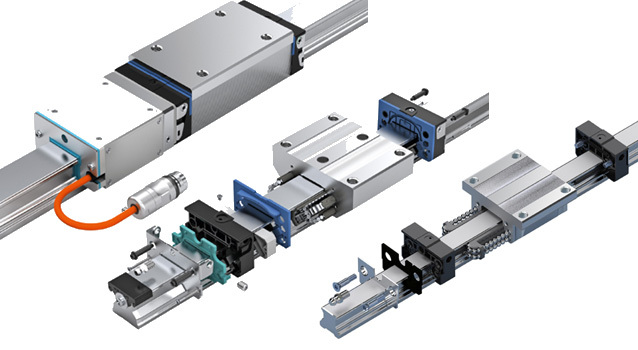 Regardless of whether you need large linear speeds, maximum loads or minimum installed lengths, you will always find the right solution in a wide range of Rexroth products. 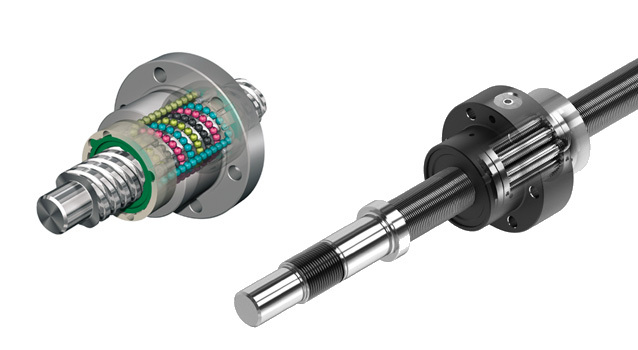 Planetary transmission spindle PLSA is a set made of planetary gear units as rolling elements. 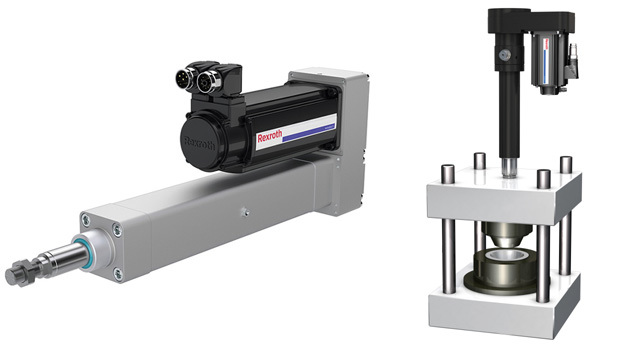 Rope spindles with planetary gearboxes are designed for the transmission of large forces. Rolling rollers are located in the housing of the spindle nut, whose ends are in discs with circularly arranged holes so that they can rotate in parallel with the axis of the spindle causing the linear movement of the nut along the coil spindle.